The Mental Militia cannot possibly overstate the sheer brilliance of the mind of James Corbett. His contribution to the world’s awareness of vital knowledge is extensive and stings the global elite like a swarm of hornets. To James’ credit, he also works closely with Sibel Edmonds, who is another highly respected and sincerely appreciated fountain of hidden truths. Editing this video into this page on May 13 2017. 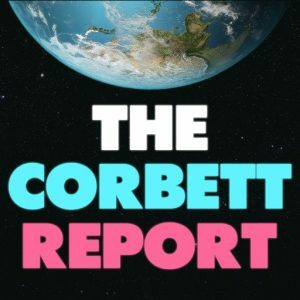 Please congratulate James Corbett on his upcoming 10th Anniversary of the launch of the Corbett Report. Awesome! From 2013: Who Was Really Behind the 9/11 Attacks? Heh! Can’t resist. This was too much fun, so I want to keep it from being buried under hundreds of other comments over at James Corbett’s YouTube channel, where he made the announcement regarding his 10th Anniversary of the launch of Corbett Report. I posted this comment under the video, but am sure it will fade into obscurity within the hour, so am re-posting it here. When I think of “Truth Movement”, I think of Corbett Report leading the way. As an old psychedelic anti-war beatnik (who got that way by serving in the Viet Nam war as a U.S. Marine and then managing to wake up), my good word to you James Corbett is just this — You Pass The Acid Test! THE TRUTH is uniquely peerless and fated (by a divinity found only in the Well of the Uncreated), to be the quality mark for 21st Century journalism. And 7. that you have my undying Salute! Everyone I know loves you, Mon! Will toot your horn gratefully. Congrats on 10 outstanding years, and Thank You!